An amazing mixture of culture and exploration! 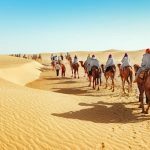 Commence your journey traveling around the earthly capital of Marrakesh before you jump on board a Jeep Safari through the sand dunes of the Sahara. 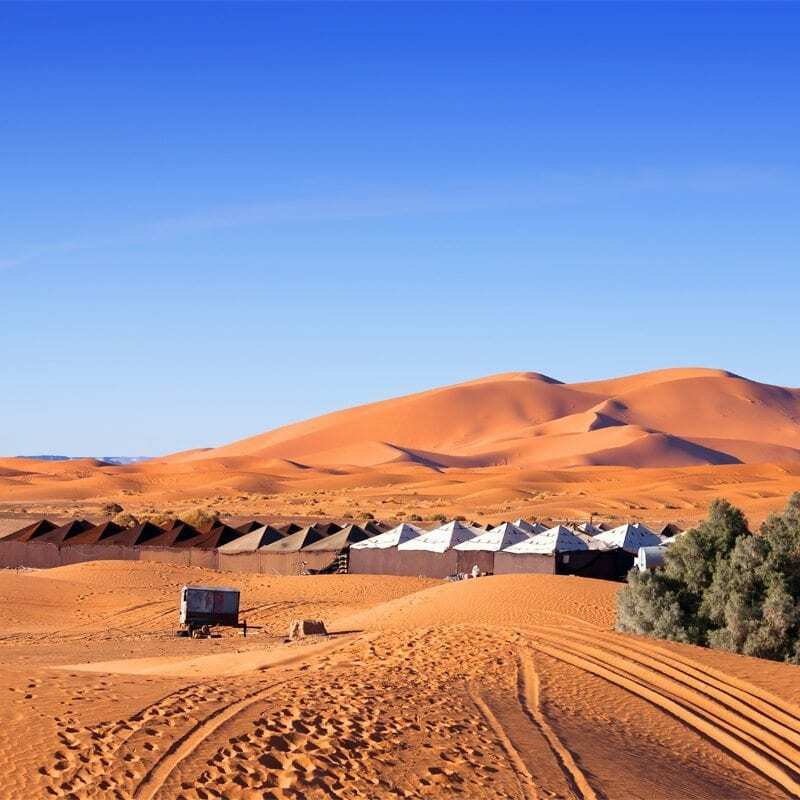 Stay in a nomad tent camp and indulge in a traditional Moroccan lunch at an oasis. 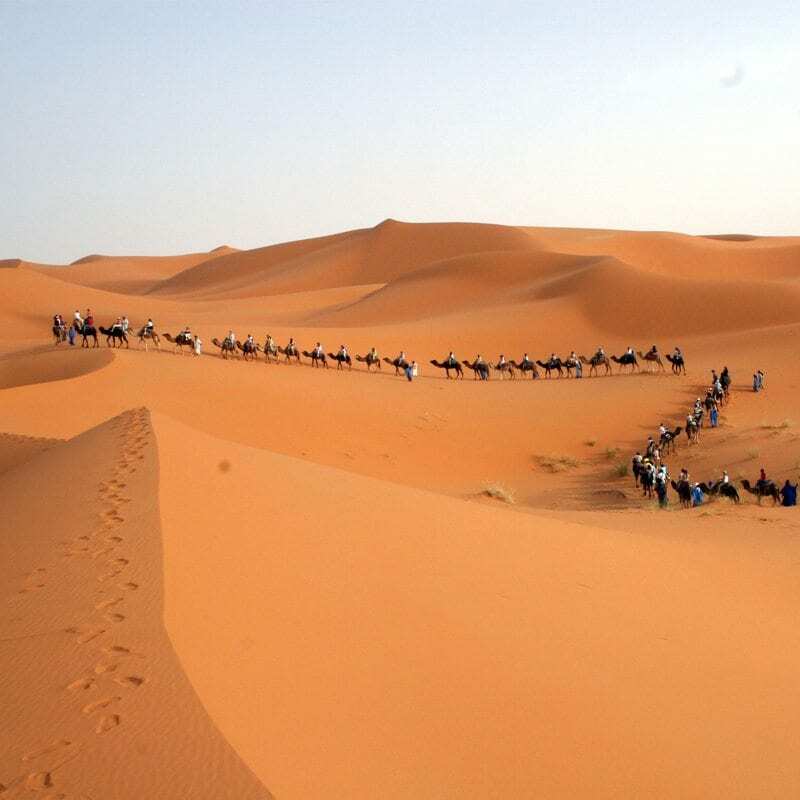 Experience the desert Moroccan style by spending a day trekking on a camel through the Sahara. 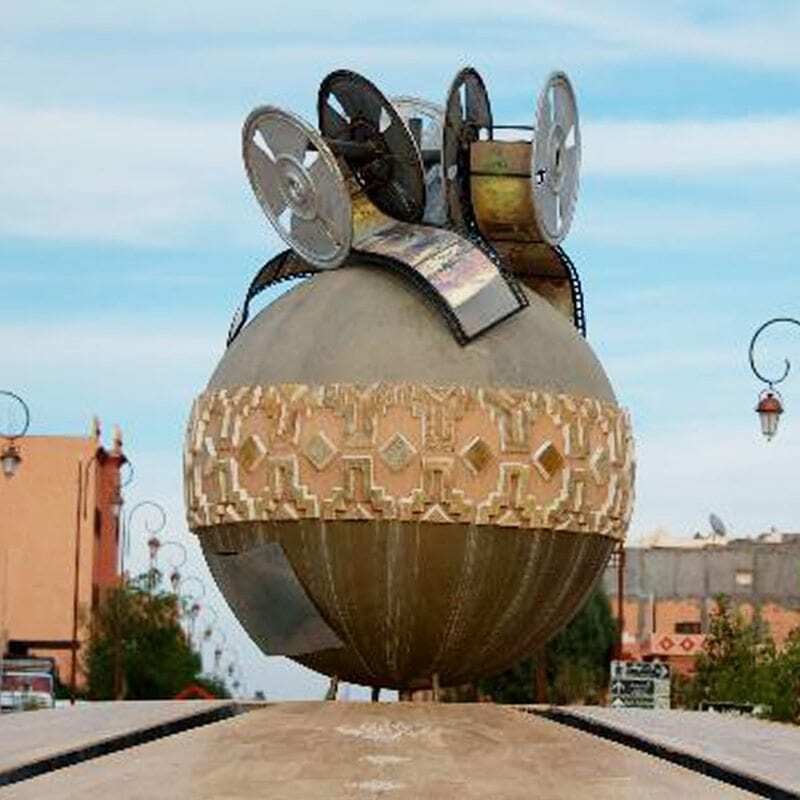 Attention: To catch the sunset at the desert; the groups departing from 20th of October to the 21st of May will spend one night in Ouarzazate, replacing one of the nights in Essaouira. At the terminal keep a look out for the Travel Talk sign, as we pick you up from the airport and take you to our hotel. 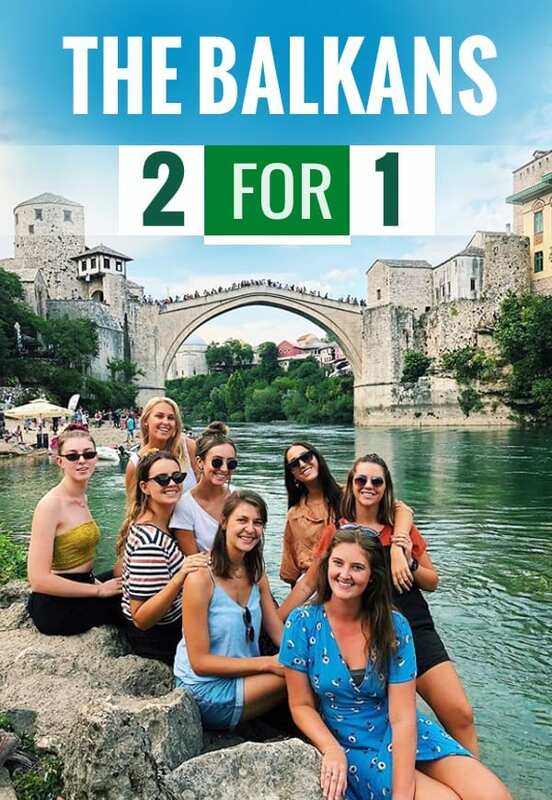 Gather round in the hotel lobby at 7:00pm to meet your tour guide and the other tour members Listen in for a fast and informal meeting with your guide including registration, a short brief about the adventures ahead and some country info. Optional group dinner is available to get to know your travel mates better before you head off. 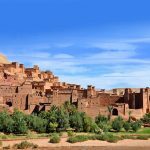 After breakfast we depart for Ouarzazate and on the way we’ll visit the Berber Village Ait Ben Haddou, well known for Universal Kasbah which has been used in many Hollywood films. 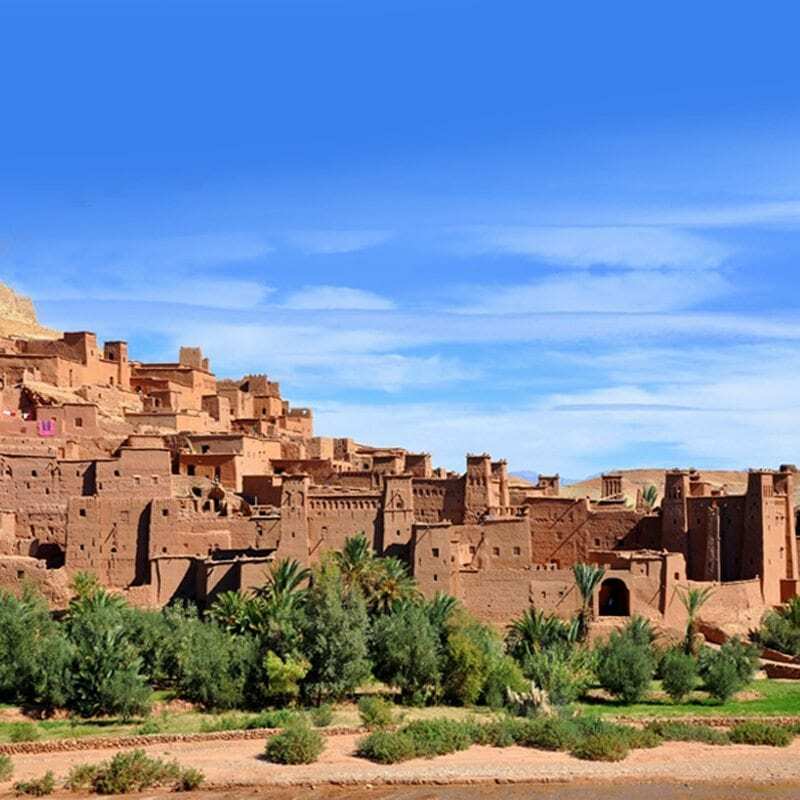 Here we’ll also have the chance to visit a local Berber House. After breakfast we drive along the Draa valley until we reach the desert village of Zagora, reflecting the traditional life in Morocco. 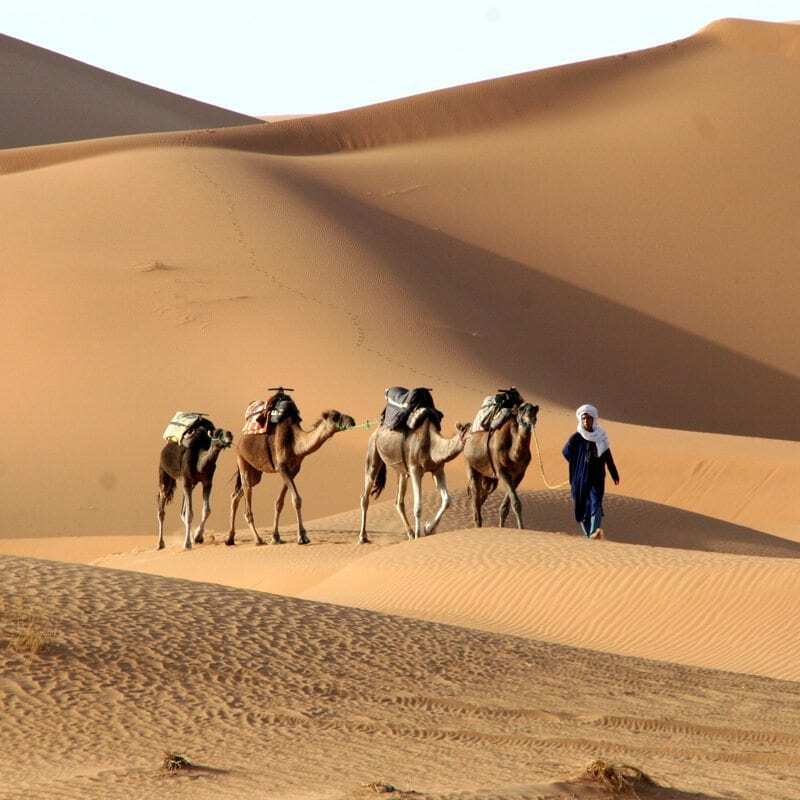 The village is located at the edge of the Sahara desert and here we join the 4x4 jeep safari. We drive through magnificent oasis and take a break at one to enjoy a prepared lunch. 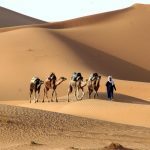 We then drive through the Saharan town of M’hamid and stop to have a run on the sand dunes before we head back to our tent. 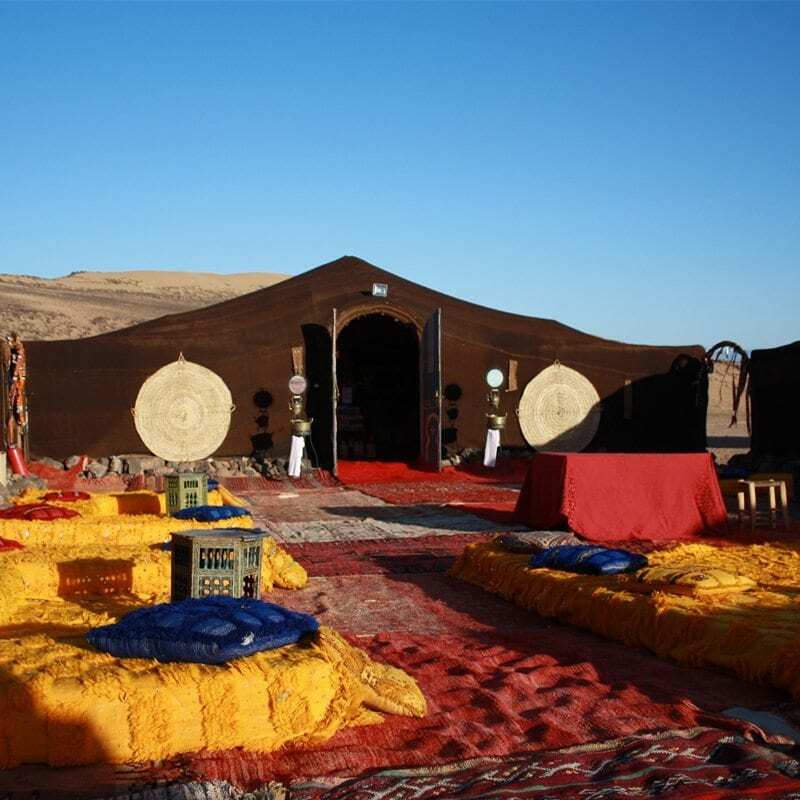 A traditional Moroccan dinner is prepared by the camp staff and you can enjoy your meal under the desert stars. An amazing day in the Moroccan desert! 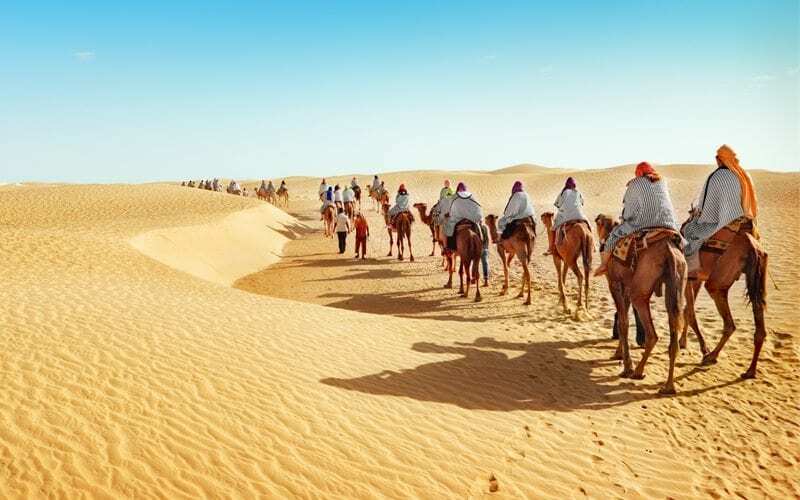 Today we ride camels through the Sahara and enjoy the adventurous atmosphere of the desert life. We have lunch at a house in the desert. We then make our way back to our campsite where an awesome experience awaits us: watching the desert change colour under the sunset. Dinner is again prepared by the locals and if you're lucky they will entertain you with some traditional song and dance by the campfire. Enough of desert! 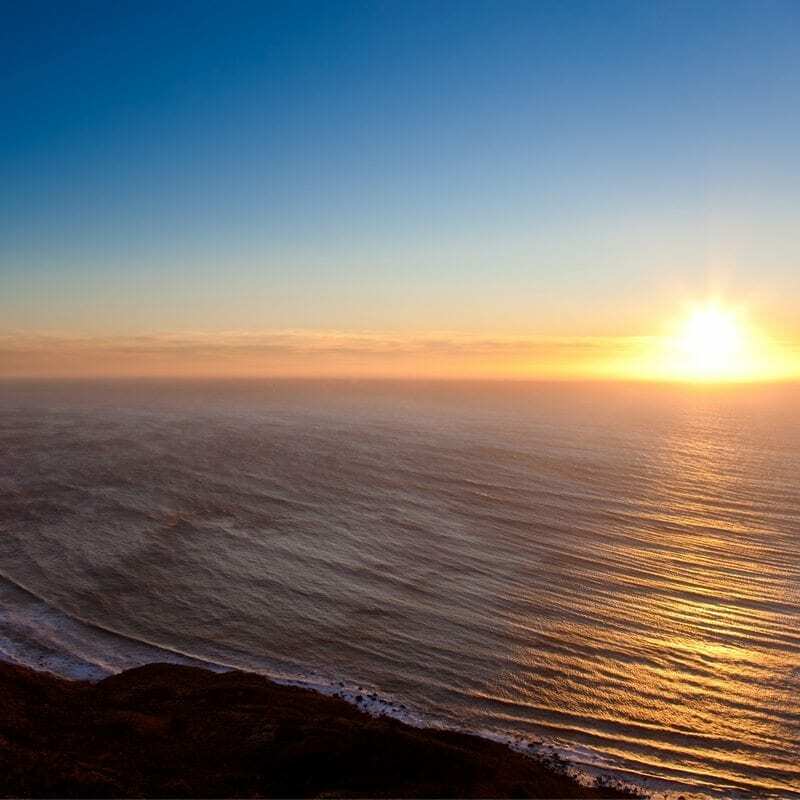 Be ready for Ocean, from the desert sands to the beach sands and a beautiful ocean waters. 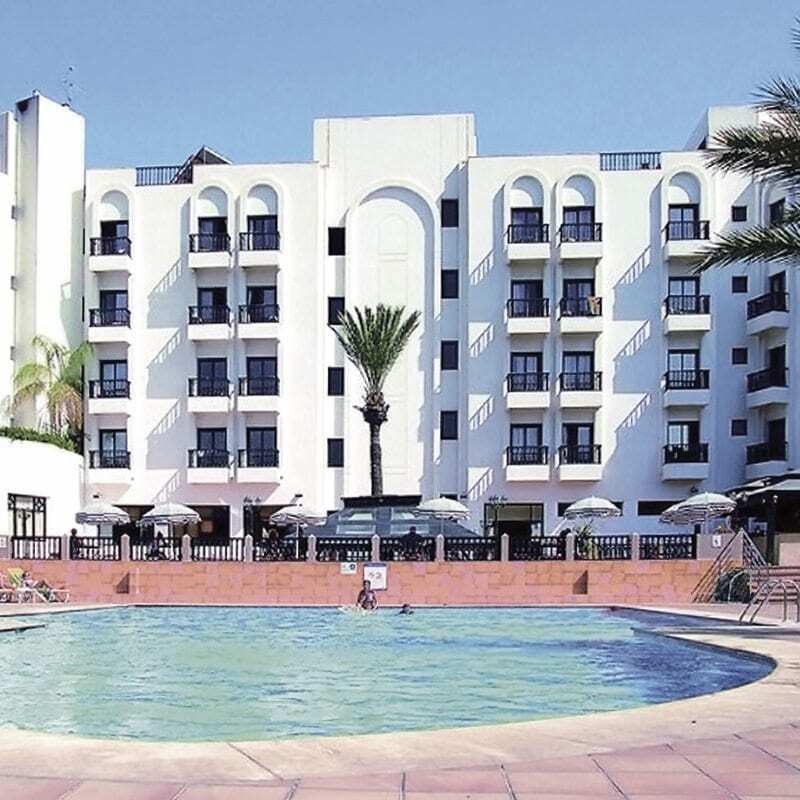 We have an overnight stay in a beautiful resort in Agadir with over 340 days of sunshine a year, situated on the southern part of Morocco’s Atlantic coastline. 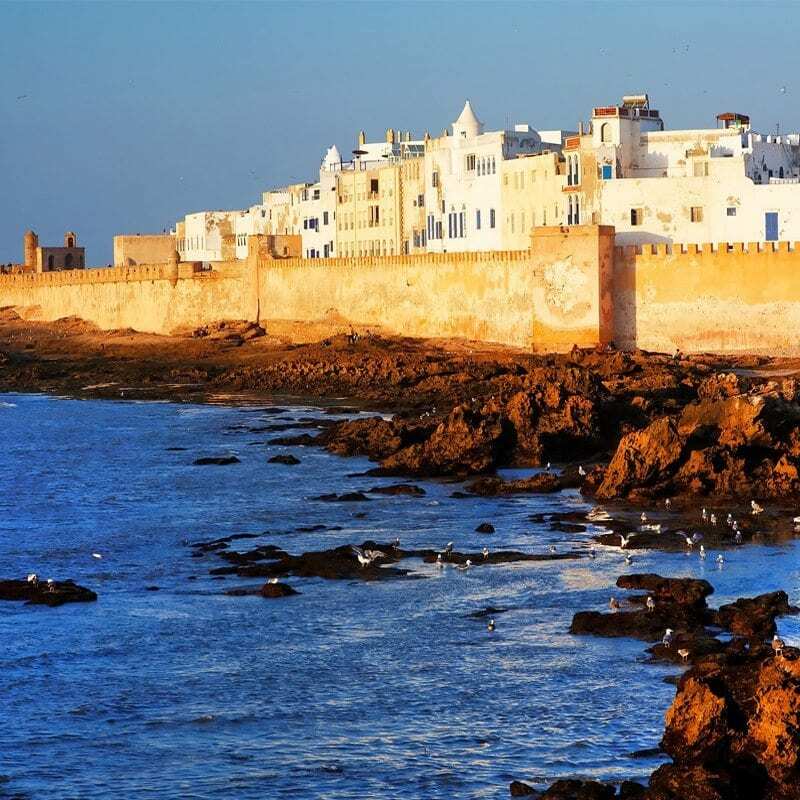 Today we are back on our coach and drive along Atlantic coast and banana plantation until we reach Essaouira; Morocco’s number one sea side destination., Essaouira has something to offer everyone: water sports, delicious Moroccan seafood, fantastic beaches and attractive nightlife. Today we will have scenic drive to Marrakech along the Argan tree forests. 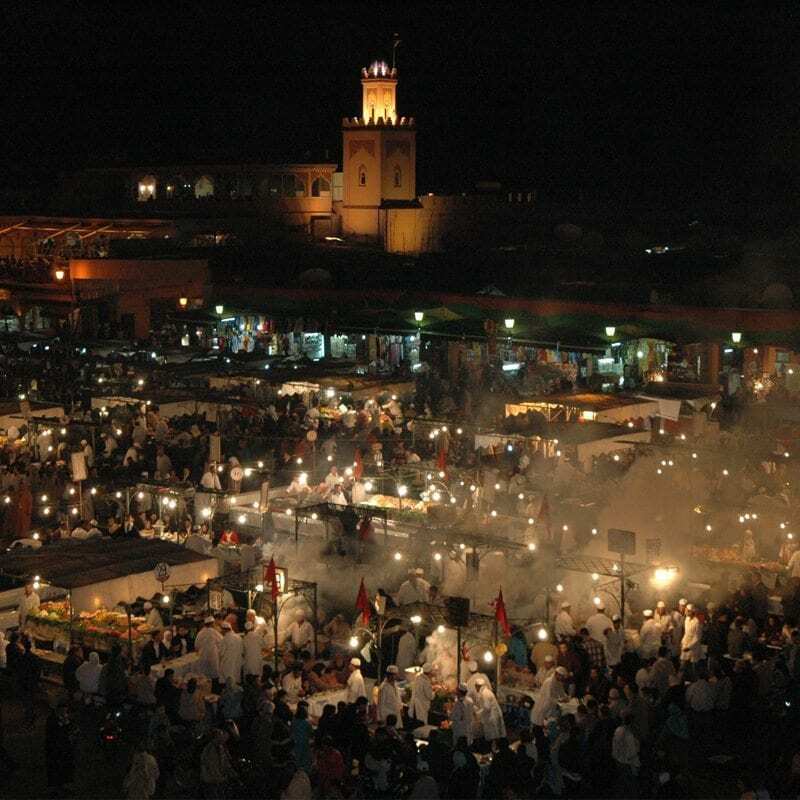 In the afternoon we will visit Djemaa el Fna Square - filled with story tellers, snake charmers, acrobats, musicians and folk dance. Overnight stay in Marrakech. Enough of desert! Be ready for Ocean, from the desert sands to the beach sands and a beautiful ocean waters. 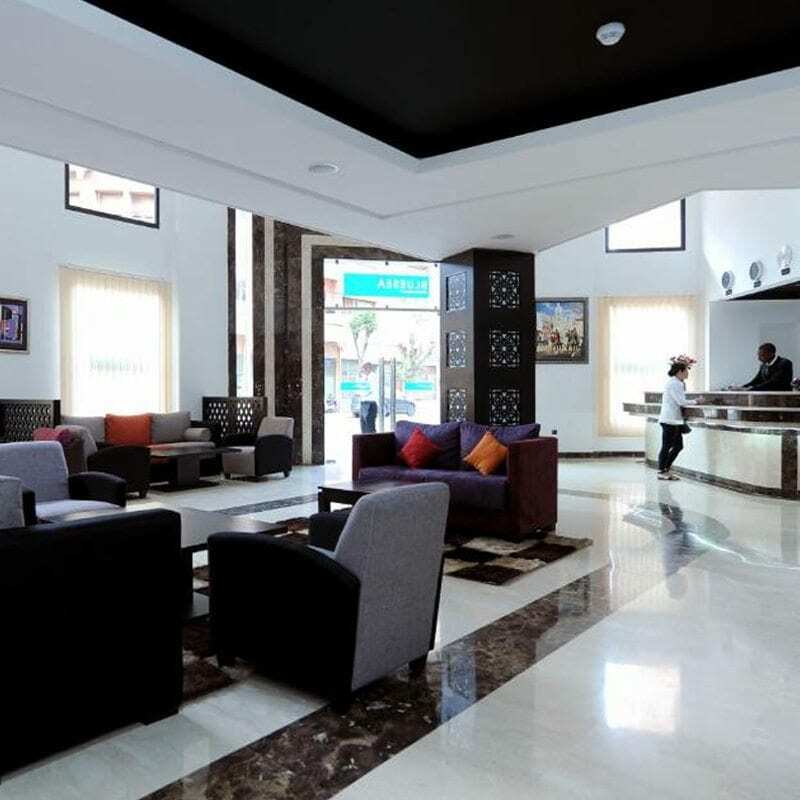 We have an overnight stay in a beautiful resort in Agadir. Today we are back on our coach and drive along Atlantic coast and banana plantation until we reach Essaouira; Morocco’s number one sea side destination. 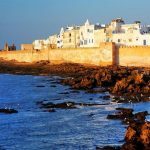 Essaouira has something to offer everyone: water sports, delicious Moroccan seafood, fantastic beaches and attractive nightlife. 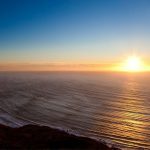 You have a full day to discover this beautiful city, one of the most popular wind-surfing destinations on the Atlantic Ocean. 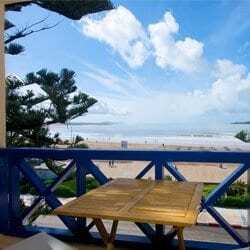 Essaouira is still serene, friendly and charming. Wander through tall white houses with yellow detail and blue doors, narrow streets and the ramparts that protect most of the town. Savouring grilled sardines and fish at the Essaouira port is a spectacular way to spend the evening. Today we will have scenic drive to Marrakech along the Argan tree forests and banana plantations. 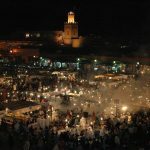 In the afternoon we will visit Djemaa el Fna Square - filled with story tellers, snake charmers, acrobats, musicians and folk dance. 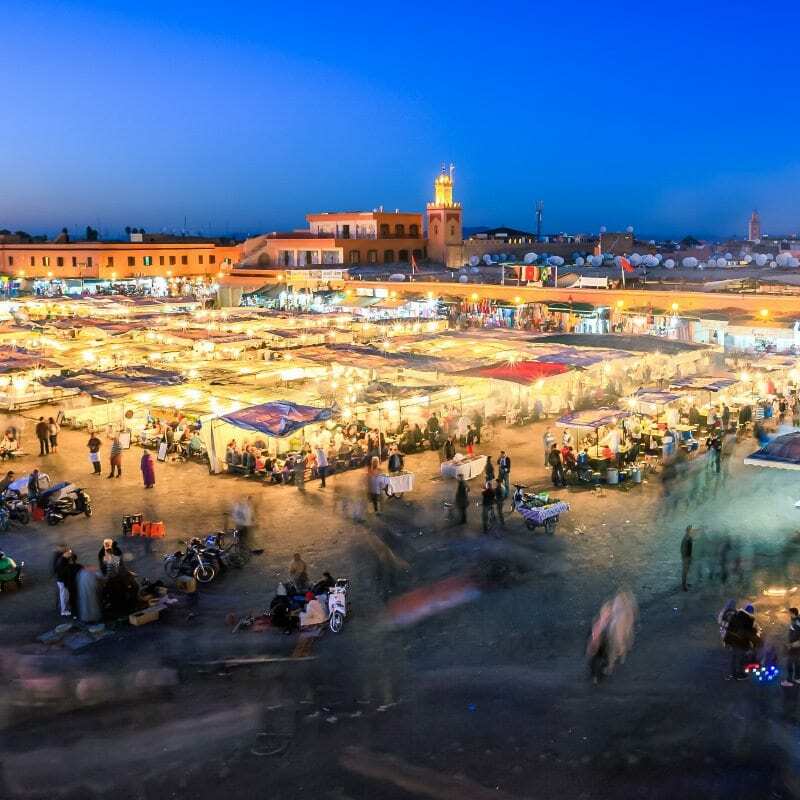 Overnight stay in Marrakech. From the airport to TravelTalk hotel on day 1 and return shuttle on the last day of the tour. Air-conditioned non-smoking coach or mini-bus. Abdul was the most incredible tour guide, he went above and beyond to guarantee that we had an incredible time. It was well organised and ran very smoothly. 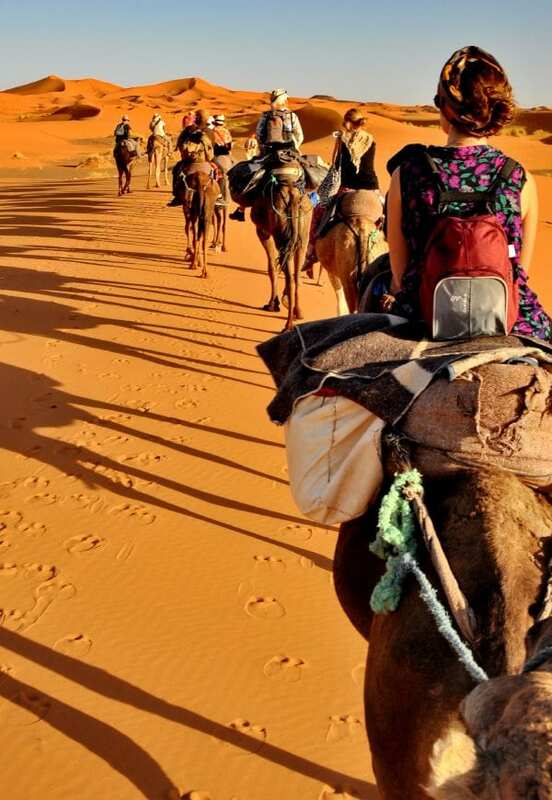 I would like to commend my Morocco trip.. it truly was incredible! Abdoul is the most passionate tour guide I have ever met! he is so authentic and made the experience just wonderful!! He is very kindhearted and genuinely cared for the people on the tour. What I loved about his attitude, is that he genuinely wants to help us learn about every aspect of Morocco, from culture to people, which made my experience very special. I got sick on the tour, yet I felt very safe in his hands. He has so much energy and is always smiling, always willing to help. Just a brilliant tour guide!! Abdul is an excellent tour guide, maximising the tour experience. The Camp host,batman, was also excellent and welcoming. 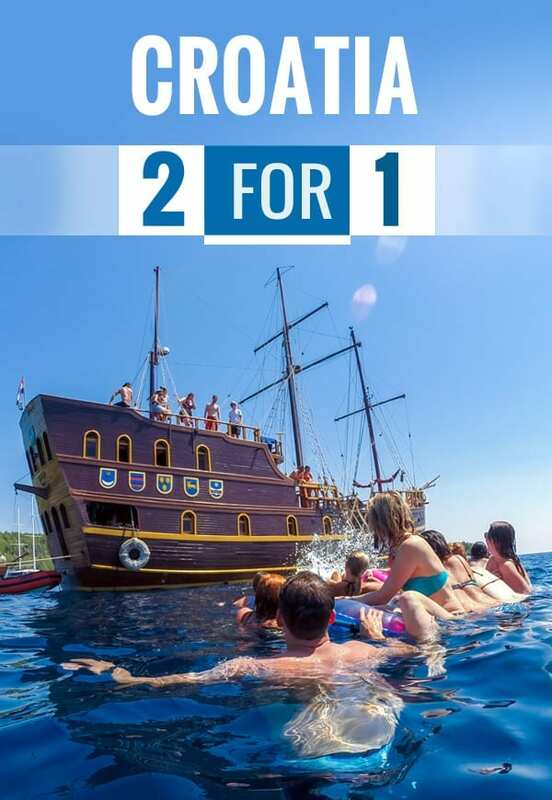 Great balance of adventure & comfort!! Abdul was incredile guide-created a great atmosphere on the tour. Campsites facilities in M’Hamid were excellent. Second night at campsite in Zagora was still good. Hammam and massage place in Agadır did not much time per person in the Hammam this was an option and not an issue of Travel Talks. Excellent Tour, mostly great accomodation, Great Tour Guide + Bus Driver. Loved Agadır, and the Sahara comfy bus , felt safe everywhere. Agadır hotel was great location and excellent Wifi, Give Abdul a payrise, please. Best Tour Ever ! Abdul was the most amazing Tour Guide !!! Driver + Guide were awesome, so helpful, peaceful ! Bader was a great tour guide & Mohammad was a great driver. I really enjoyed Bader’s knowledge on everything!!! Bader was a great tour guide, loved all the facts and stories he told us. I don’t think there was a question on the history/ customs he couldn’t answer. Mohammed (driver) was great and always smiling. Hotels were as expected. Great tour. Thanks. Abdul Haddi (tour guide) and Rasheet (driver) were both amazing and contributed to an incredible experience. 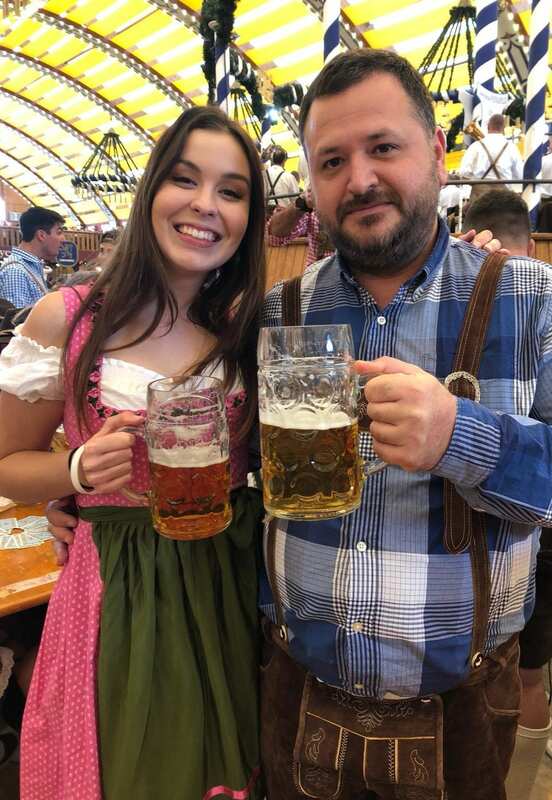 Abdul consistently went above and beyond to make sure everyone was happy, and contributed more to this trip to make it the experience of a life time! Accommodation, food, and transport were all good. Thanks everyone!! Great value and communication before and during our tour. Abdul is an excellent tour guide, maximising the tour experience. The Camp host,batman, was also excellent and welcoming.Great balance of adventure & comfort! !